As was reported previously, since going on sale, the extremely limited edition, which includes a whole host of memorabilia as well as in-game bonuses, has become the target of eBay scalpers, who have been buying up the bundle in bulk in an effort to put them up on the auction site for vastly inflated prices. 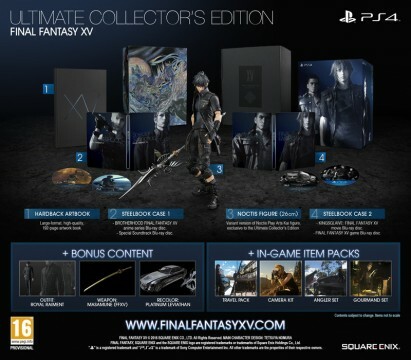 Square Enix said they planned to deal with the scalpers “severely,” but was unsure on how they were going to help get the Collector’s Edition into the hands of gamers who actually wanted one to keep. Well, here’s your chance. It should be noted, however, that Square can’t guarantee that the second batch will arrive on time to meet the game’s release date. Final Fantasy XV launches September 30 for Xbox One and PlayStation 4. A PC version has yet to be confirmed, but Square Enix hasn’t ruled out the prospect of a non-console version in the future. We’d be pretty surprised if it doesn’t come to PC at some point, as Square seems to be all about re-releasing past Final Fantasy titles on Steam recently.